There’s always time for a good old G&T isn’t there? 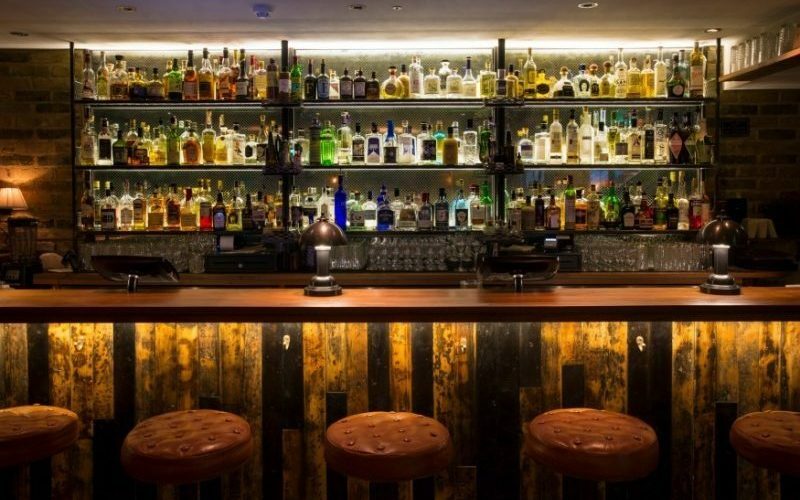 AND boy does gin have its place in London Town, here’s our faves spots to score some Mothers Ruin. Local gin is their thing, with more than 50 on the shelf all with their very own serve. Whether you like it just over ice or with grapes and black pepper they have a gin that will win with you. interiors are stripped back with lots of art you will recognise with the likes of Pure Evil and Damien Hirst donning the walls. They also knock out food and can feed you from breakfast through to dinner. 214 Bermondsey don’t just like gin, they love it. The place is dedicated to the tipple and has over 50 bottles of the stuff behind the bar. 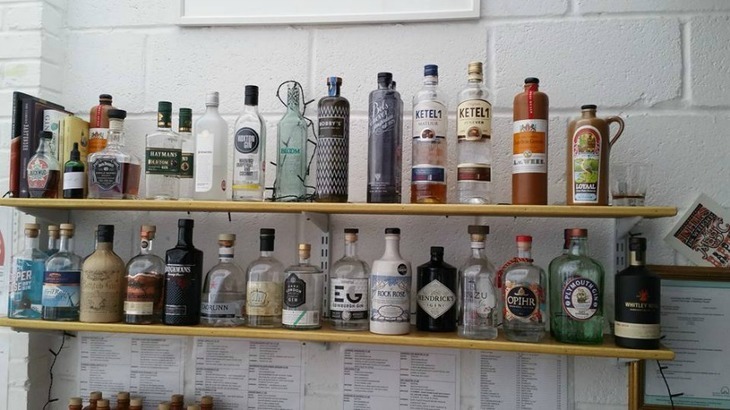 From local gins to lesser-known international bottles, 214 Bermondsey stock it all and they’ve even created their very own BTW Tonic Water to go with the gin. GIN GIN to that! You don’t just go to Bar Termini for the gin, but for the Negronis. And while some people might put their noses up at pre-batched cocktails, these aged Negroni’s served in tiny glasses without ice are some of the best in town. 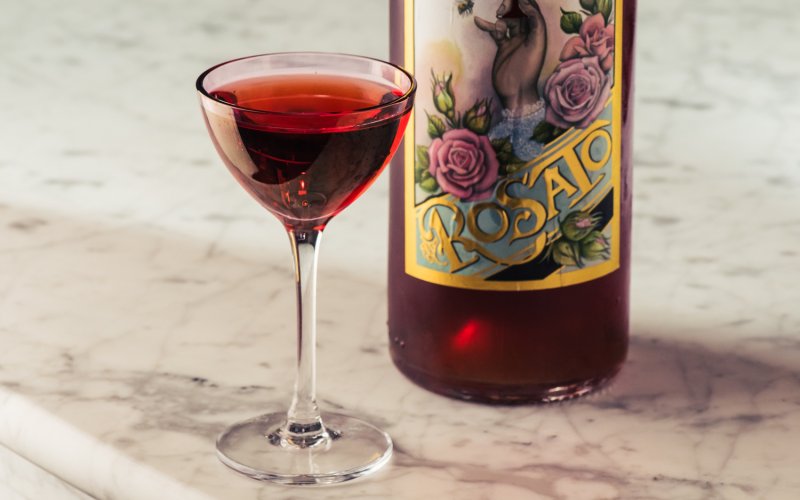 With a rose-petal infused, pink-peppercorn infused and classic negronis, all made with Beefeater Gin there’s plenty sip your way through and a cocktail list for when you’re done! 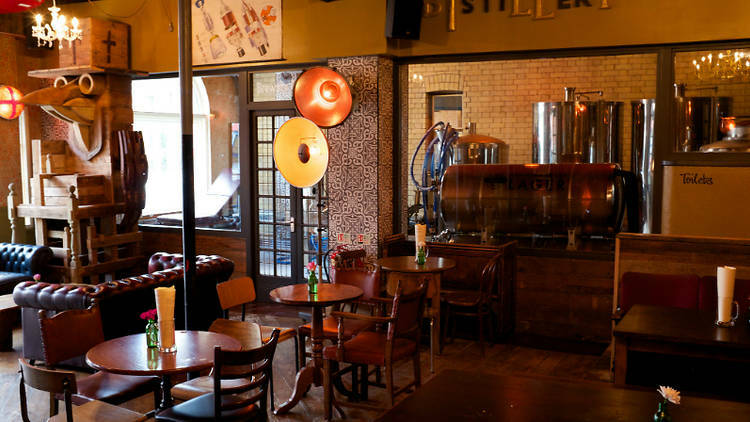 Once an old glue factory and now a pretty hip East London distillery and bar, East London Liquor Company distill their own gin on site and you can try it straight from the horse’s mouth. And with cocktails based on their own London dry and premium batch, there’s lots to try and that canal-side terrace is the perfect spot for a sunny afternoon. 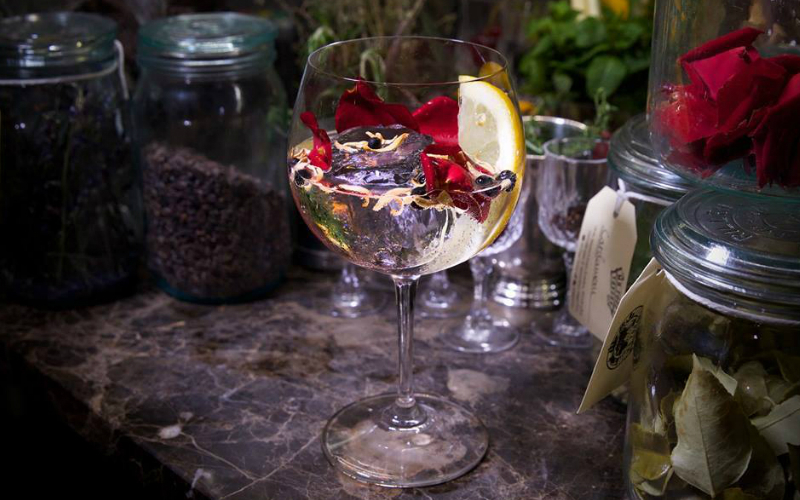 Mother’s Ruin Gin Palace is Walthamstow’s best-kept secret. Housed in a WW1 munitions factory, this place specialises in Fruit Liqueurs and Cocktail Bitters made from locally grown and foraged ingredients. Think spicy rhubarb & ginger gin, and sloe and damson gins. All in all, it’s a tiny, no-frills bar that does a bloody good tipple. The Distillery isn’t just bloody good gin bar and the home to Portobello Road Gin, but it’s The Gin Hotel too and has some pretty cool rooms to crash in once you’ve drank ALL the gin. The Resting Room has 400L still suspended from the ceiling, and if that wasn’t enough gin there’s over 140 different gins in their on-site off-license, and you can even blend your own in their Ginstitute. Yes, that’s enough gin for anyone. What once was once the trendy, hipster London Fields pub now stands Martello Hall. 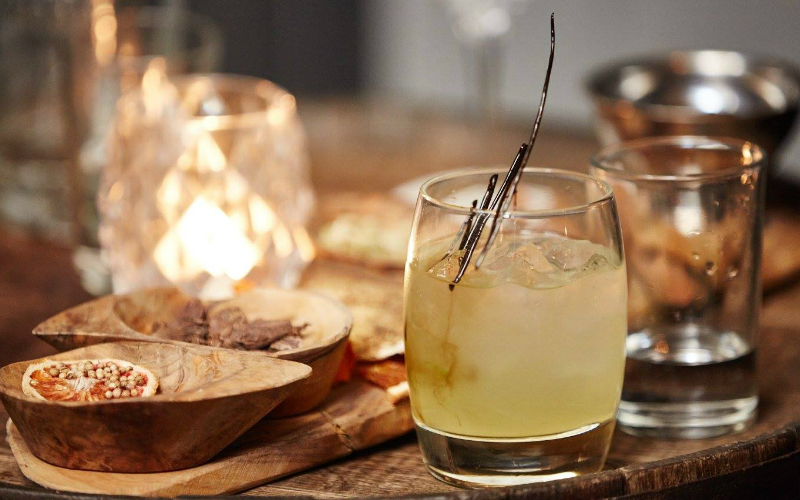 An all new singing and dancing cocktail bar and restaurant with their own brand gin distilled on-site, handmade in the US by John Chapple, called Nicola and it makes their fine Martello Gin. You’ll find her on their back bar. This place is set over three floors with an airy and modern with an industrial feel…you know the drill, exposed brick, lots of rusty looking metal. Alright, enough gasin’ just order at the bar, thank you. Located above Mr Fogg’s Tavern, Mr Fogg’s Gin Parlour is basically a Victorian living room dedicated to all things gin. Their Encyclopedia Gintonica contains over 300 varieties and their cocktail menu has a old-timey theatrical theme, they serve up G&Tea (because afternoon tea with actual tea is boring) and you can go on a Gin Safari tasting. It’s definitely eccentric but they sure know how to mx a drink. This Battersea boozer has a lot going on…taxidermy, a retro games room, a micro-brewery, crazy golf, comedy nights, live jazz, the list goes on. 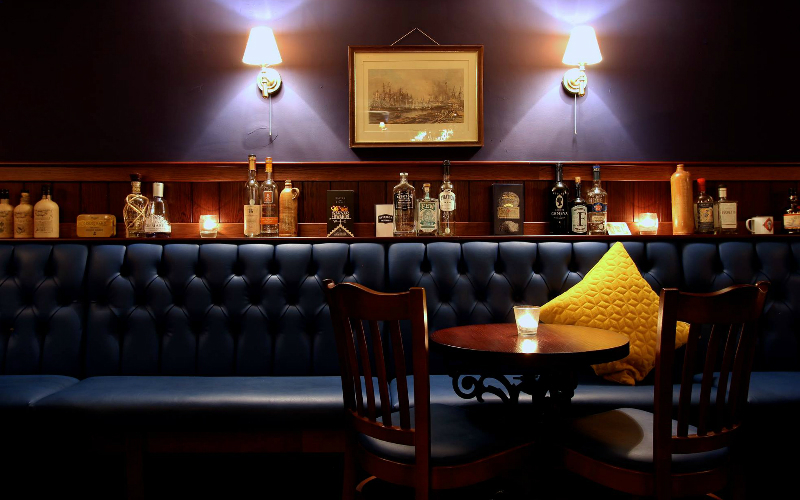 It’s also got a bloody good bar too, with over 70 varieties of gin as well as their own Four Thieves version, plus plenty of tonics resulting in about 400 possible combos of G&Ts. Yeah no one goes thirsty in this place. 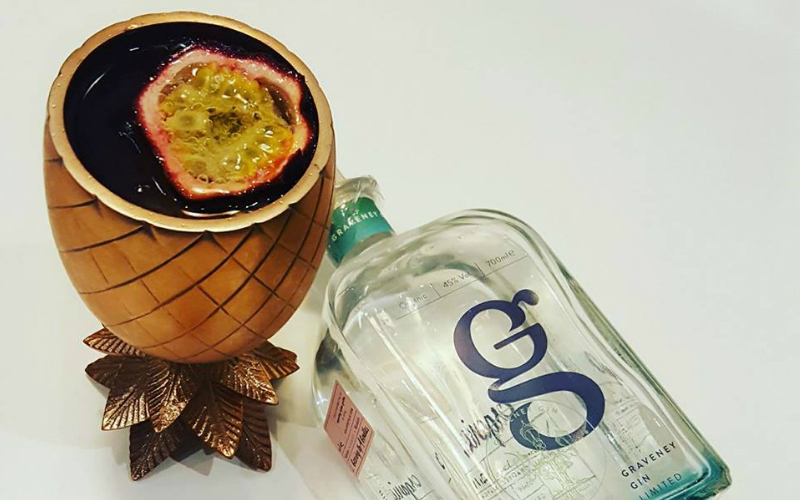 The City of London Distillery brought gin distilling back to the area after a very long absence so it’s safe to say they know what they’re doing when it comes to the booze. 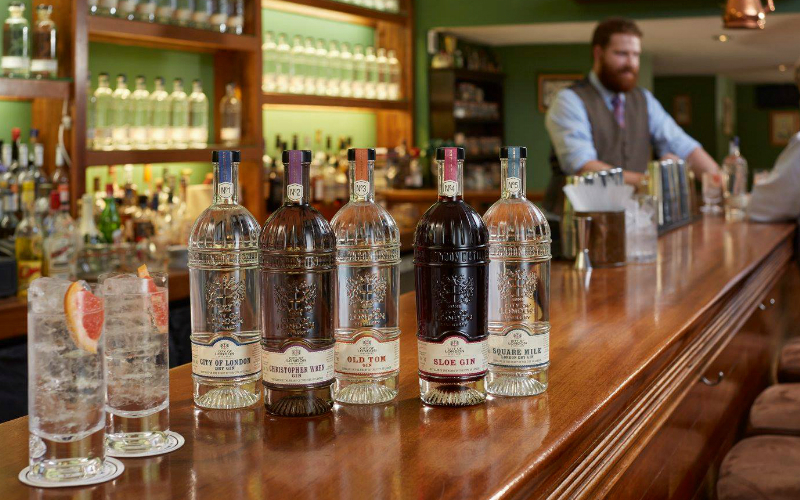 Not only do they whip up a dry and a sloe gin, they’ve got a warm spiced Old Tom version and a premium (and award-winning) gin named after Christopher Wren. 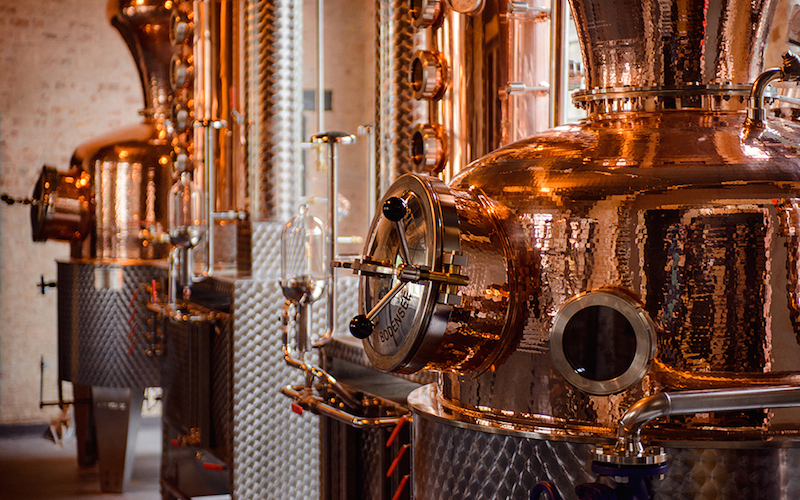 You can go on tours of the distillery, have a go at making your own gin, or just drink at their bar whilst admiring their impressive copper stills. 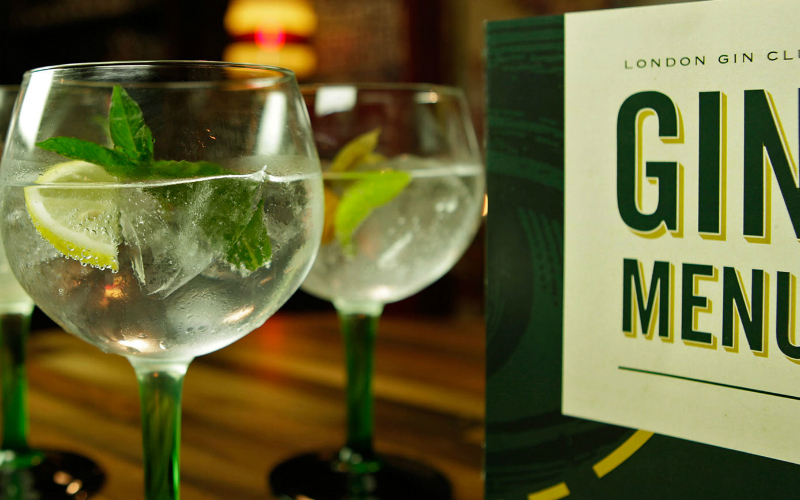 Where do you go if you want gin in London? The London Gin Club of course but good luck finding a seat as this place is rather popular. 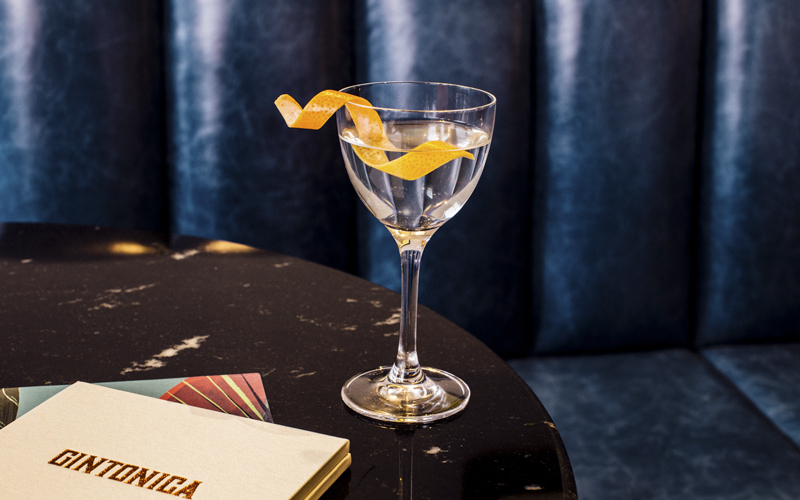 Once you are in, you can go for one of their G&Ts, served in a big goblet, a cocktail, a ginfusion (which sits somewhere between the two) or a gin tasting menu, which features a selection of small batch gins that changes every three months. Basically however you want your gin, they’ll do it. It’s no surprise that a bar that pays homage to the merchant trade has a pretty mega collection of gin behind the bar. With over 300 bottles of the stuff from premium to rare, there’s sure to be one that tickles your tastebuds. All of their cocktails reference the Empire in some way too, so you might even pick up a bit of history whilst your downing those drinks. 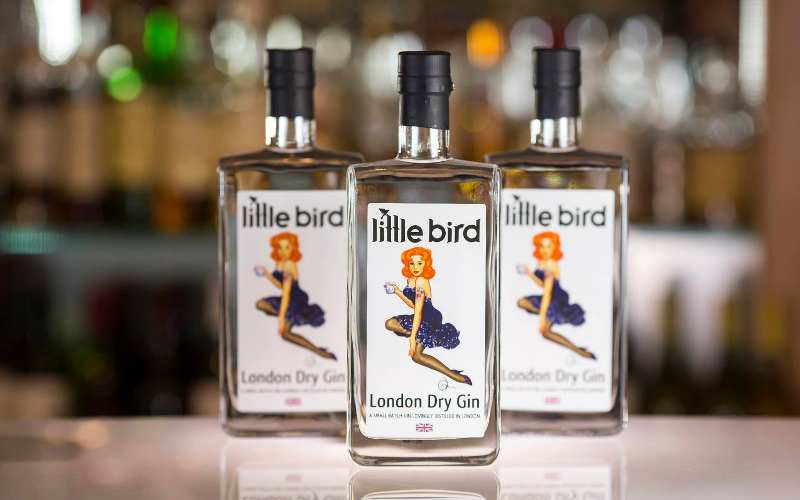 Little Bird Gin is South London through and through and they stick to their roots with pop-up at Maltby Street Market. The retro-themed gin joint serves up a handful of cocktails, including a G&T and gin-based Bloody Mary. It’s the perfect pit stop on a weekend stroll through the market. 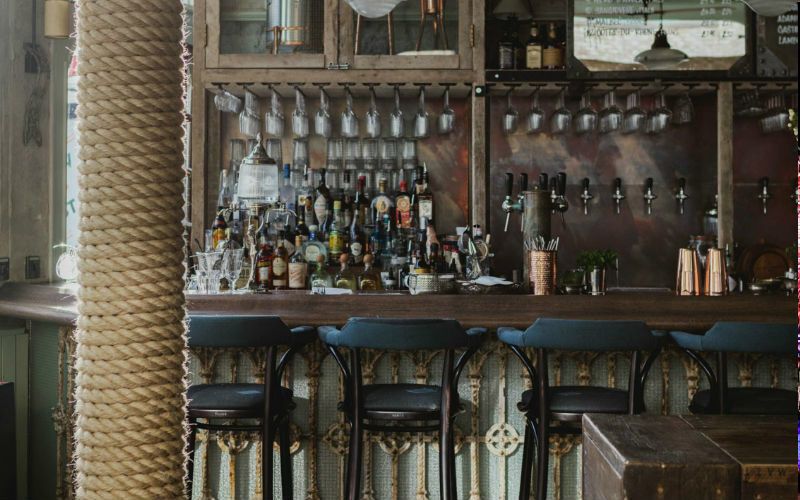 Another Victorian-inspired bar with another travel-inspired cocktail menu…Worship Street Whistling Shop may not be unique but it is bloody good (it’s been on the World’s 50 Best Bars list numerous times). 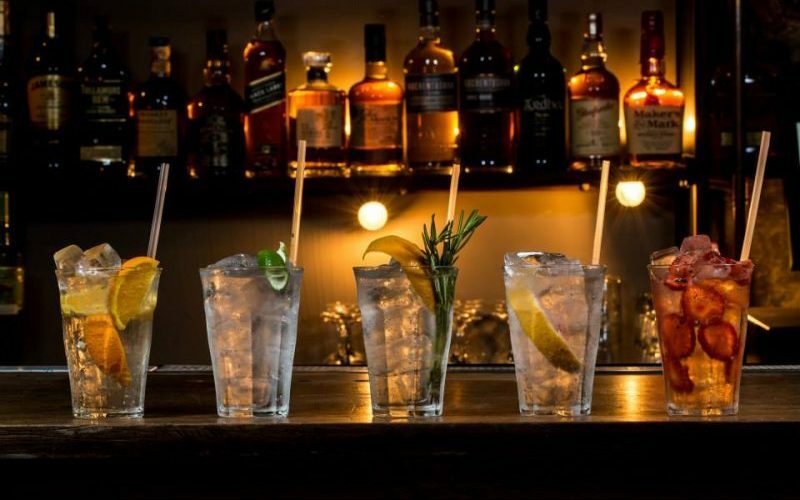 They have an extensive range of gins, which they’ve put to great use in their inventive cocktails, and they’ve also launched gin masterclasses so you can get the full value of their expertise. 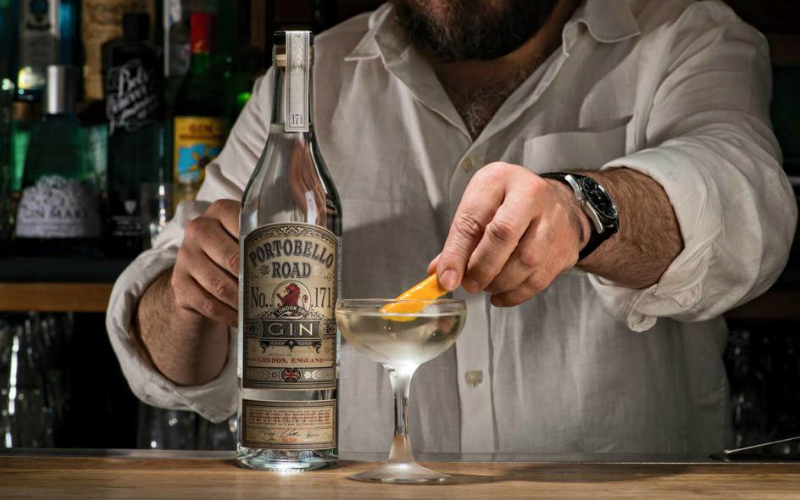 Whilst Holborn Dining Room is best known as a restaurant and place to epic pies, it’s also got a mega bar with London’s largest selection of gin; we’re talking over 400, with 30 types of tonic. That’s a LOT of gin. 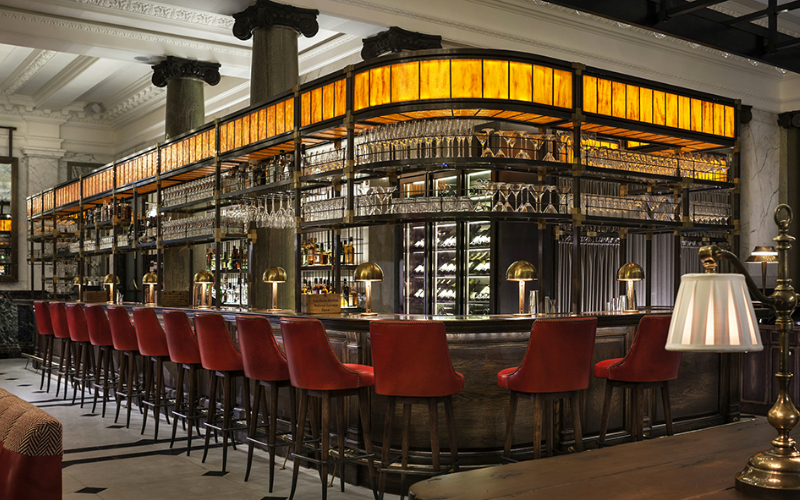 And it all looks pretty slick too with a copper-topped bar and red leather stools…definitely not a bad place to spend an evening. Small but perfectly formed is defo the way to describe Graveney Gin. Made in a tiny distillery in Tooting using 30L copper stills, so it really is small batch, it’s a properly handcrafted product. The place doubles as a bar too, where you can drop in for a G&T made with one of their range of tonics. It’s a real local gem.